Nourishes and soothes tired feet. 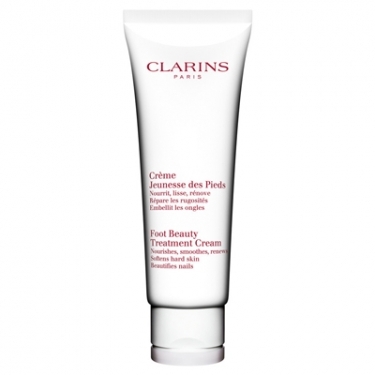 Crème Jeunesse des Pieds (Foot Beauty Treatment Cream) is a soothing relief infused with cashnew nut oil to nourish and soften your feet and Shea butter to repair skin and smooth. Plus, relieves feelings of fatigue thanks to arnica extracts whilst myrrh strengthens and beautifully pamper your nails. Essential oil of thyme purifies skin and Laponite® powder absorbs dampness. Apply to perfectly cleansed feet. Gently massage from toenails up to the ankles morning and/or evening. Exfoliate regularly to prevent hard skin.